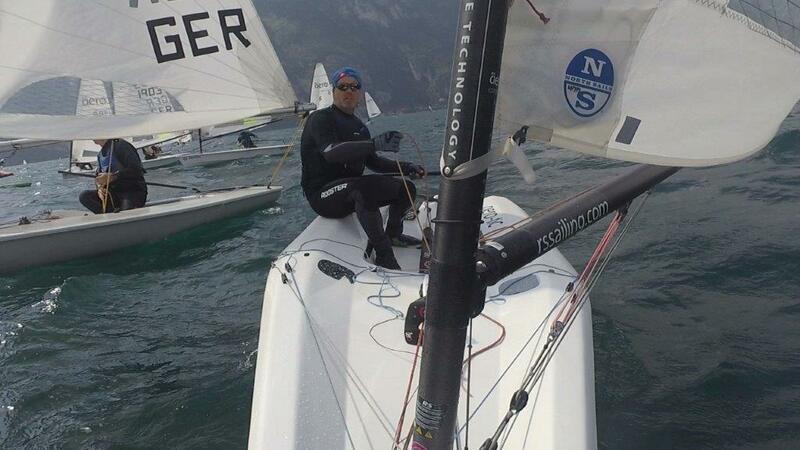 To start the new season Team Germany travelled to Circolo Vela Arco on the north shore of Lake Garda for a few days of training before racing starts back home in Germany. 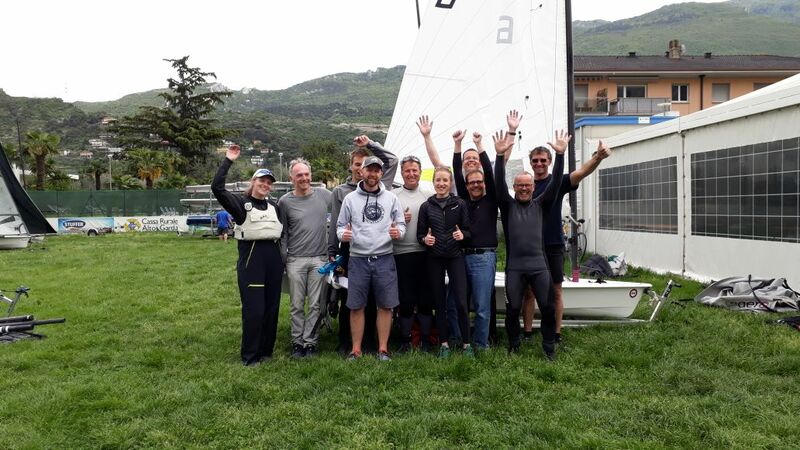 Our group was made up of eleven RS Aero sailors and one Laser sailor, international flair was added by Tine from Norway (living in the Netherlands) and of course our coach Kate Sargent from the UK. For most sailors it was the first time back on the water since last November, only a few had sailed during the winter. On the first day of training we were greeted by perfect conditions with sunny skies and warm temperatures. After an onshore briefing by Kate we headed out on the water in a moderate northerly breeze, which quickly died down and the Ora started to build up. Kate had prepared different drills and the plan for the day was mainly getting to know the boat again. By the beginning of the afternoon session the Ora had reached its full force giving us more challenging conditions to keep the boat upright, but also allowing for some fantastic broad reaches and some well-deserved pizza and gelato in the evening. 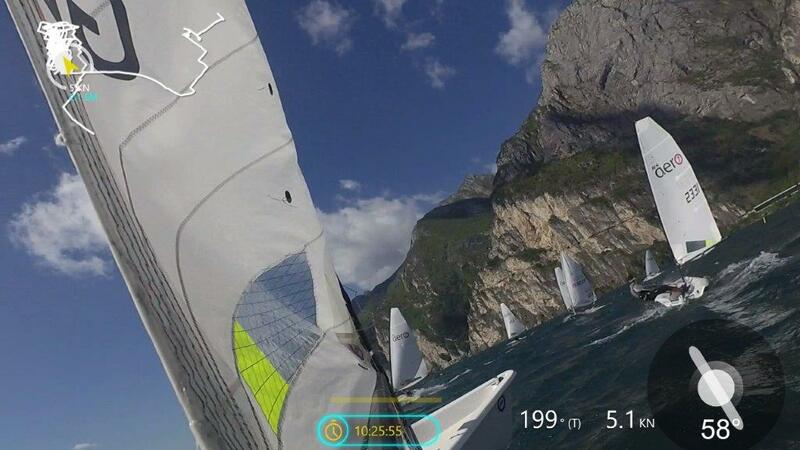 During the following two days we focussed on different key aspects, especially boat handling, speed and trimming as well as racing rules and strategy – all mostly in typical Lake Garda conditions. For the last day Kate had planned some mini regattas. As there was no wind in the morning we started off going through some of the videos Kate took during the previous days and discussed different trimming and techniques. 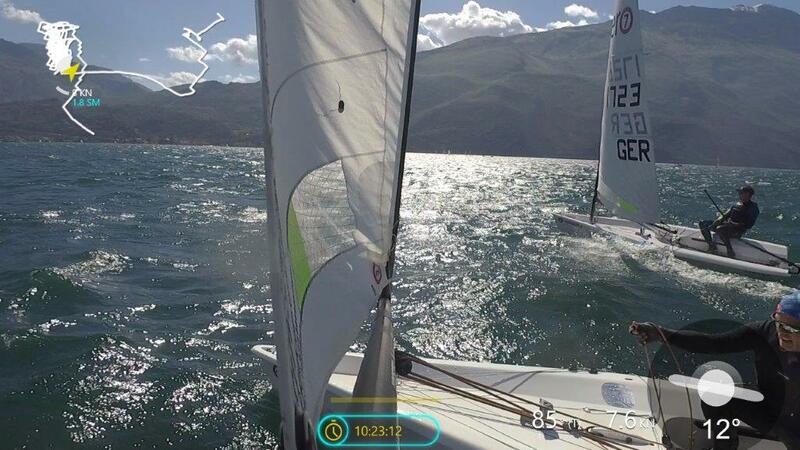 Finally the Ora arrived and we got out on the water and had four races – all won by Marcus Walther! Everyone enjoyed the training in such a splendid location. Thanks to Christian Lemmer and Marcus Walther for organising the event and of course to Kate for coaching us. annual Haltern Challenge at SC Prinzensteg, Dortmund, Germany. 16 RS Aeros are pre entered so far which is a new record for Haltern and this year the Dutch RS Aero sailors are visiting with 3 RS Aeros making for a nice international regatta!